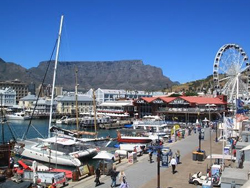 Located on the Southern Tip of Africa, South Africa is a exciting and diverse destination that is filled with adventure. It is a bucket list destination for animal lovers, who come to see impressive wild beasts such as zebras, lions, crocodiles and buffaloes in their natural habitat. The landscapes here are diverse, from the dry expanse of the Kalahari desert to the dense and green iSimangaliso Wetland Park. Get tipsy on a wine tour of the vineyards near Stellenbosch, brunch in a lovely Cape Town cafe or visit the Whale Coast along the Overberg. 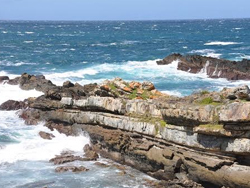 Drive along the Garden Route, which will take you along the Southern Coast from Mossel Bay to Port Elizabeth. If you love hiking you’ll be swept away by the beauty of the Drakensberg Mountain Range and enchanted by Tugela Falls, the second highest waterfall in the world. There’s so much to see and do in South Africa, it just depends on the type of adventure you want to have! 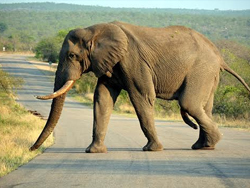 To find out more about our tour experiences in South Africa, please contact us today. South Africa is a large country with a varied climate, so the best time to visit depends on the region where you will be spending your visit. 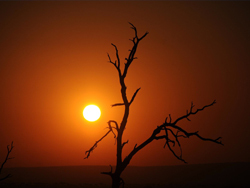 The winter months from May to October are drier, which means that they are better for game viewing on a safari. The animals will congregate around the water sources and the bush will be thinner, allowing you to spot wildlife more easily. April is a great time to go, as the temperatures will be pleasant but not too hot. If you are interested in the flora of the lush forests and you don’t mind a bit of rain, you can visit during the “green season” from May to August. The best time to go to the beach is from November to March, although if you are visiting during Christmas and New Year it will be busy. The best chances of seeing whales is from June to November and the whales will be at their peak numbers in September. 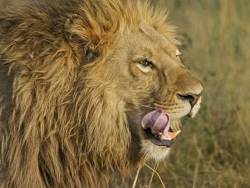 The thrill of seeing a majestic lion lounging in the grass, or an enormous lumbering rhino sipping at a watering hole is an experience that will stay with you forever. If a wildlife safari is on your bucket list, South Africa is one of the best places in the world to see the famous Big Five. Another unforgettable South Africa wildlife adventure is swimming with sharks in an underwater cage diving experience off the coast of Cape Town. You can also climb up one of the 350 paths to the summit of the 3,500 sandstone Table Mountain (or take the cable car to the top if you want to take it easy). Or, you could take a zipline tour through the forest canopy in Tsitsikamma on the Garden Route. Go kayaking in the St. Lucia estuary which is home to hippos, giant crocodiles and bull sharks. Go rafting through the rocky dry desert down the Orange River, where the landscape is a mix of orange, brown and red hues. You could even take a hot air balloon ride over the beautiful Magalies River Valley and see this wild landscape from a bird’s perspective. Exploring the Cango Caves is a must, as it is a truly impressive ancient cave system. You can crawl through the narrow passageways of the cave, squeezing through openings as small as 26 centimetres. No matter what you want to do on your adventure in South Africa, we can arrange the trip of a lifetime for you. Our packages are all inclusive, so every detail is taken care of and any experience you want to have while travelling in South Africa can be easily arranged – just let us know! Many nationalities do not need a visa for a stay of up to 90 days in South Africa, including citizens of Australia, Argentina, Chile, Canada, Ecuador, Germany, the UK, The USA, New Zealand, Sweden and the Netherlands. Make sure that you have at least one blank page in your passport and that it is valid for at least 30 days after you intend to depart from South Africa. If you do not have a return ticket booked, you pay need to pay a refundable deposit. Wear sunscreen, as the sun is strong and the ozone layer is damaged. Also, bring a wide brimmed hat and sunglasses and stay out of the sun in the heat of the day. When you are on a safari, your guide knows the animals and the dangers associated with them, so listen to what they say. Be aware of your surroundings and never approach or feed wild animals. The tap water is drinkable in the urban areas of South Africa, but not in all rural areas. However, the water is mineral rich and this may cause you gastric distress as you get used to it, so you might want to stick to bottled water. Before visiting South Africa it is recommended that you get vaccinated against Hepatitis A and Typhoid. Depending on whether you will be spending time in rural areas, going on hikes and treks or interacting with wildlife you may want to be vaccinated against rabies. Also, talk to your doctor about prescription medication against malaria and take all necessary steps to prevent mosquito bites such as using repellent, wearing long sleeves and sleeping under a mosquito net. The South African Rand is the currency in South Africa and its value fluctuates regularly. Keep in mind that when you withdraw money in South Africa you will be charged the foreign transaction fee by your bank so make sure to budget for this. You can use your credit card to pay in many retail shops and restaurants, but be wary of card skimmers and always watch as your card is being scanned. If you are venturing out into the bush on a safari, keep in mind that it might be very difficult to find ATMs in the rural areas. Plan ahead and bring enough cash. Make sure that you always have some small change so that you can tip your taxi drivers, hotel porters and servers.